Whether you’re relocating for work, school, or another reason, our team is on hand to make the process as smooth as can be. As an established company in NE PA/NW NJ, we offer relocation services designed to take the stress out of uprooting your life and moving it elsewhere. AAA Moving and Storage Co. has been providing quality relocation services in Lehigh County, Northampton County, Monroe County and Luzerne County, PA, as well as, Warren County, NJ for over 30 years. Our experienced, caring staff are well trained in estimating and coordinating your relocation whether it be locally, interstate or internationally. We understand that this a stressful time and know that customers value communication. That is why we use the move coordinator as your “one point of contact” throughout the relocation process. 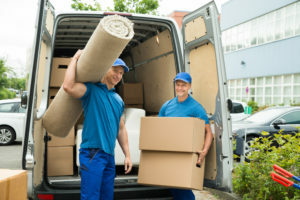 If you live in Warren County, NJ or Lehigh County, Northampton County, Monroe County or Luzerne Count, PA, AAA Moving and Storage Co. can provide you with the service you expect and deserve. As an agent for Mayflower Transit, AAA Moving and Storage Co. will survey your home, discuss your needs and offer options for you to choose that cover every step of the relocation, including packing, dates, storage and most importantly what your concerns are. Then we will implement the options you select so you can have the most worry free move possible! If you need help relocating, don’t stress: Just turn to AAA Moving & Storage Company – Your Local Mayflower Agent – and know that you’re in good hands. For more information or to schedule an estimate, call us today.